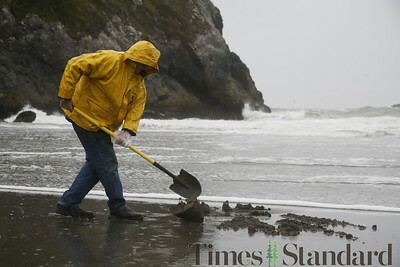 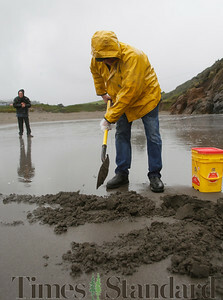 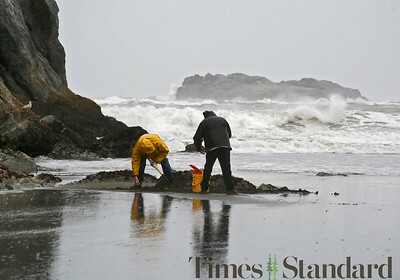 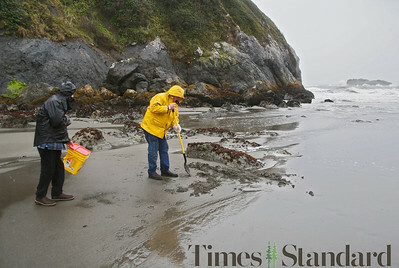 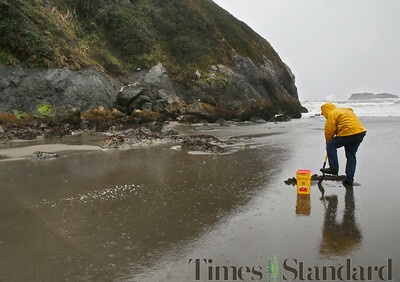 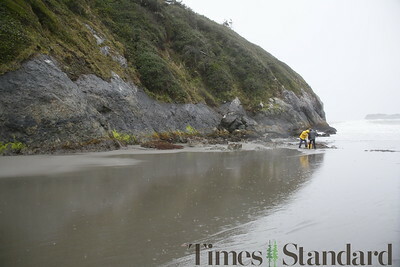 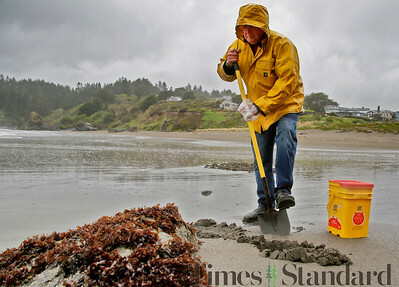 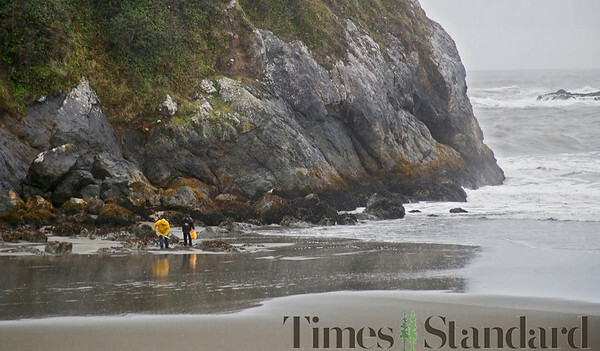 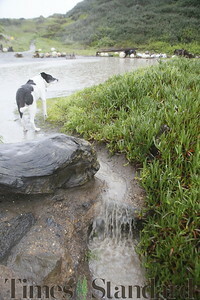 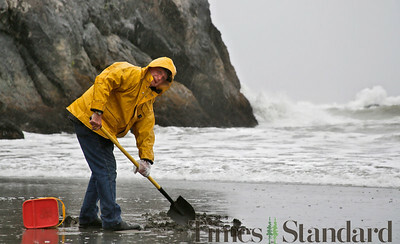 Shaun Walker — The Times-Standard James Seat of Blue Lake digs for sand crabs on Trinidad State Beach on a rainy Wednesday afternoon. 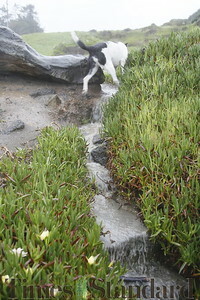 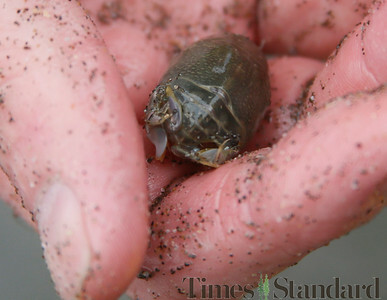 The thumb-sized crustaceans are excellent bait for fishing for delicious surf perch, he said. 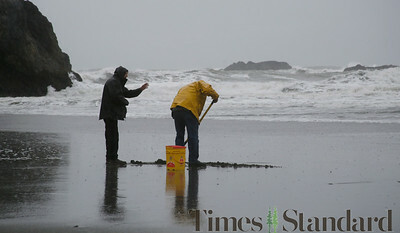 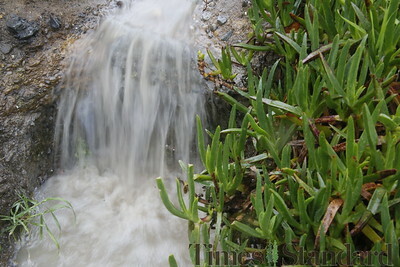 Showers were expected through this afternoon on the coast, and then a 20-percent chance of showers through 11 a.m. Friday. 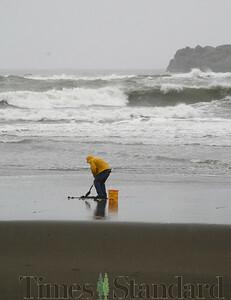 Saturday should be dry and a short rainstorm should hit on Sunday. 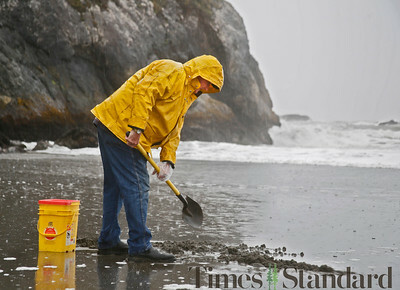 Shaun Walker — The Times-Standard A sand crab, dug from less than a foot under the surface of the beach, sits in Seat's had before going in a cleaned-out kitty litter bucket.